Description Pinholes. 1970's? 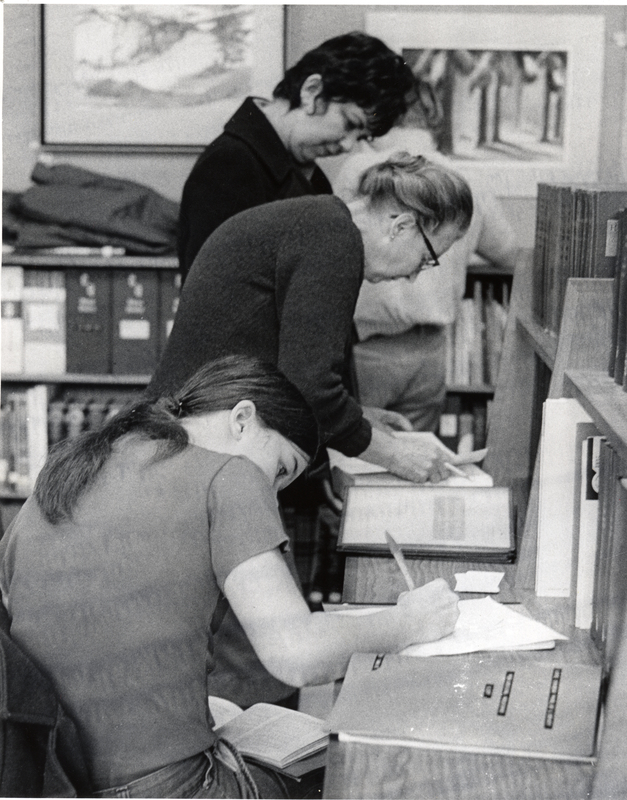 Muriel Gray, librarian, in center.